Grande Cascapedia, Salmon Branch, 14 Mile pool. Guide: Charles O. Dionne Binette. Angler: Peter Bennett. Atlantic Salmon Federation. Atlantic Salmon Federation say a drop in the harvest of Atlantic salmon by Greenland’s fishermen is good news for the species. 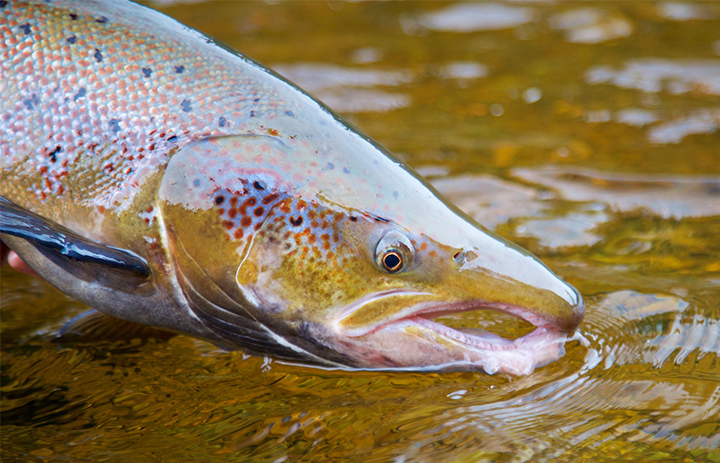 Atlantic salmon are considered endangered by the U.S. government, and only consistently return to a handful of American rivers, all of which are in Maine. Environmental groups such as the New Brunswick-based Atlantic Salmon Federation say one of the major threats to the fish is fishing harvest off of Greenland. The federation says less than 40,000 pounds of the fish were harvested last year. That’s the lowest total since 2005. The federation says that is a promising start to a new 12-year conservation agreement signed recently by a union that includes Greenland commercial fishermen. 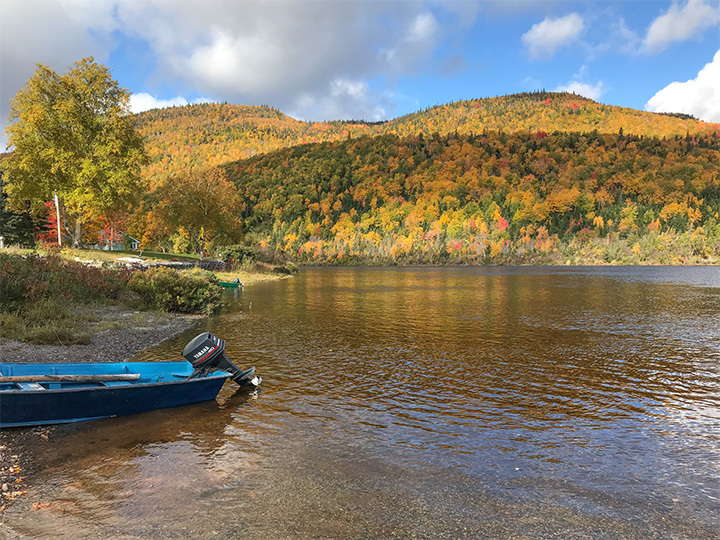 Looking downstream on the Matapedia on a crisp September morning. Photo Ben Carmichael. Atlantic Salmon Federation.